I was honoured to be asked, along with Kate Shackleton author Frances Brody, to open the fringe of the Newcastle Noir Crime Festival last week. We spoke to a packed audience about the Golden Age of Crime Fiction and the pros and cons of writing books set in the 1920s. 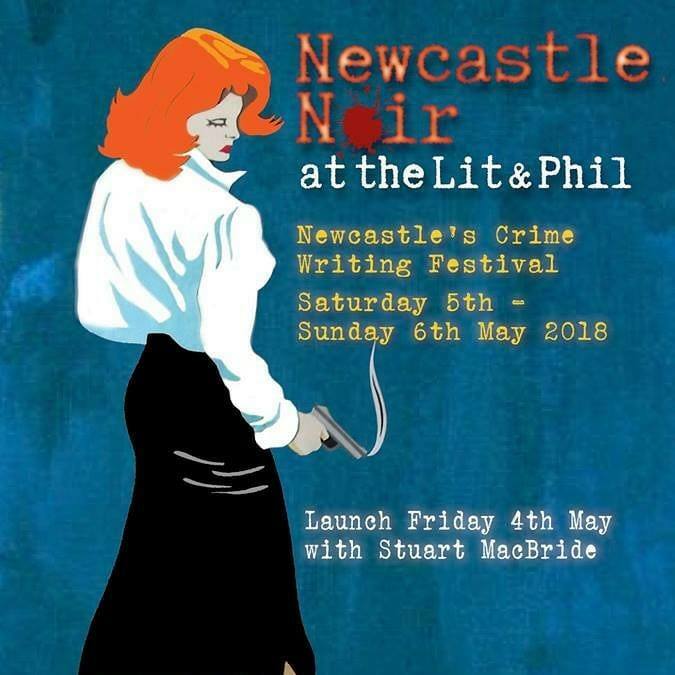 Thanks to the wonderful Dr Jacky Collins and her team of volunteers at the Newcastle Literary and Philosophical Society for a fantastic weekend. I really enjoyed the first Poppy Denby book. But what I want to comment is your acknowledgement of “the brave women of the 1960s and 1970s who made such strides forward for equal rights for women.” As I was one of those women it pleases me to see the wide success of following generations and to have my/our efforts acknowledged. It was a powerfully, exciting and wonderful time as we set up a women’s centre and transition house in Vernon, British Columbia, Canada. Thank you for recognizing the efforts of so many women who helped open the doors of choice to following generations. What a lovely thing to say! 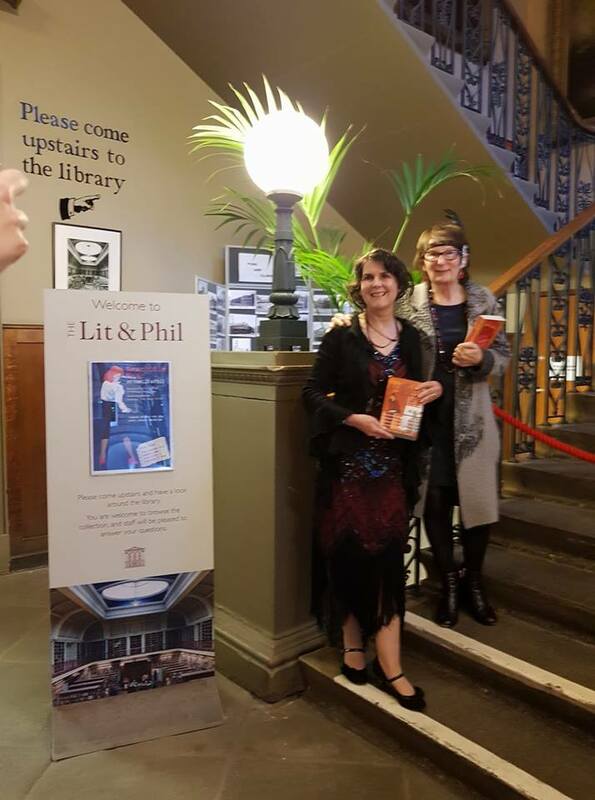 Thank you very much for taking the time to let me know the book – and the acknowledgement- has made a positive difference to you. Another reader mentioned that line to me a few months ago, but she wasn’t so happy about it. Sadly, women’s rights, it seems, are not held in such high regard by all members of our gender. I hope you enjoy future books in the series too.